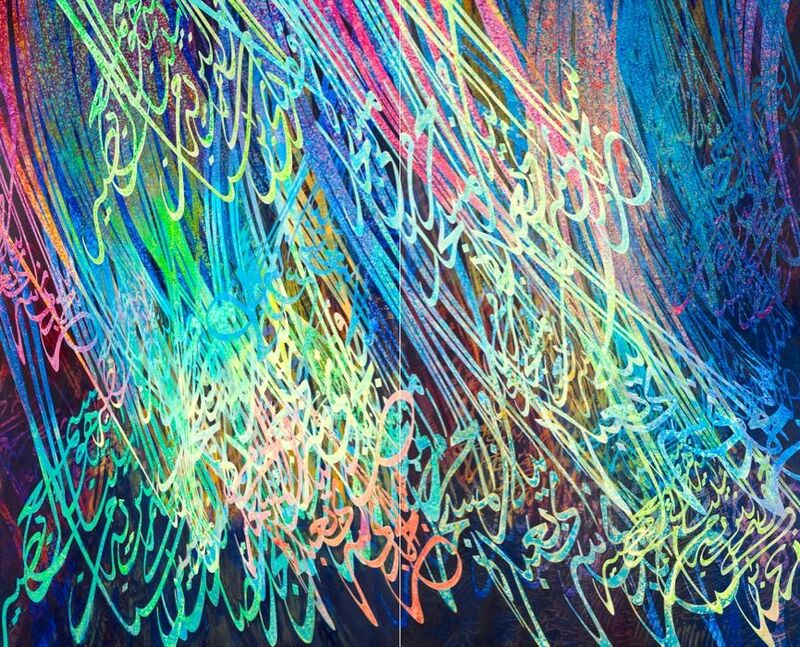 Ahmed Moustafa integrates his inner experiences with experiences of external reality, with a masterly fusion of classical European painting techniques and the exacting discipline of Islamic calligraphy. 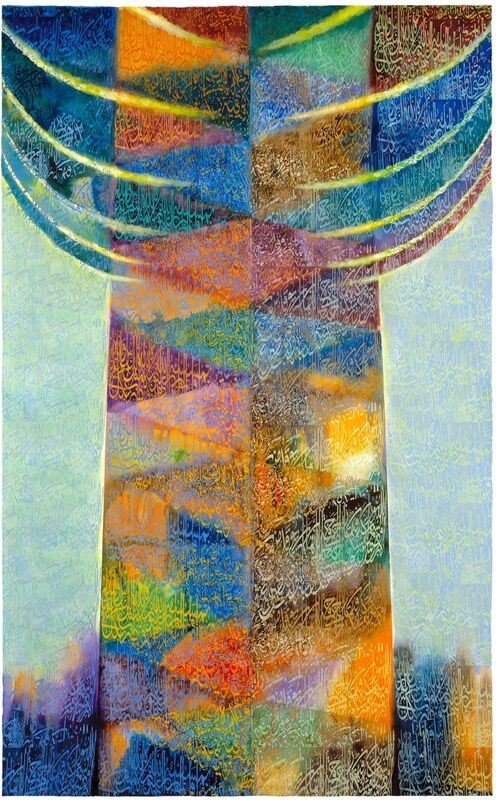 This rich visual vocabulary provided by this innovative interpenetration and synthesis of two contrasting traditions at once lends Ahmed Moustafa’s work a universal appeal. 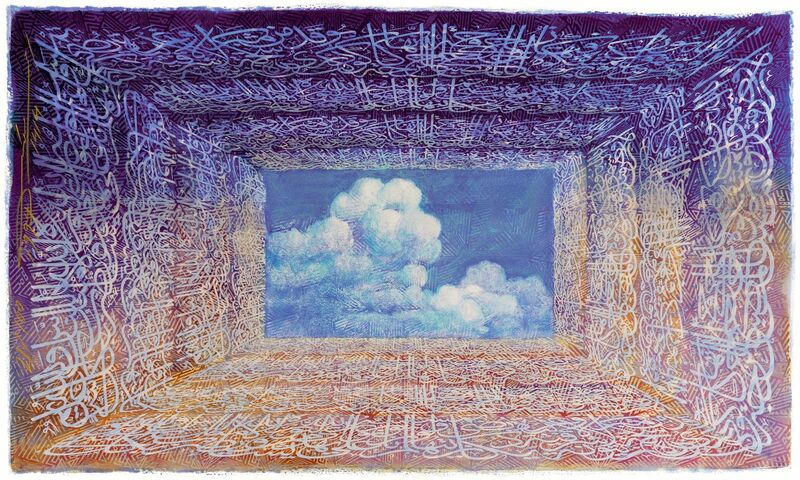 Ahmed’s work is a very personalised style and is always accompanied by concentrated and profound scholarly study. The artist’s style is as unique as his personality, and its achievement can be considered as the representation of the individual's self-cultivation. 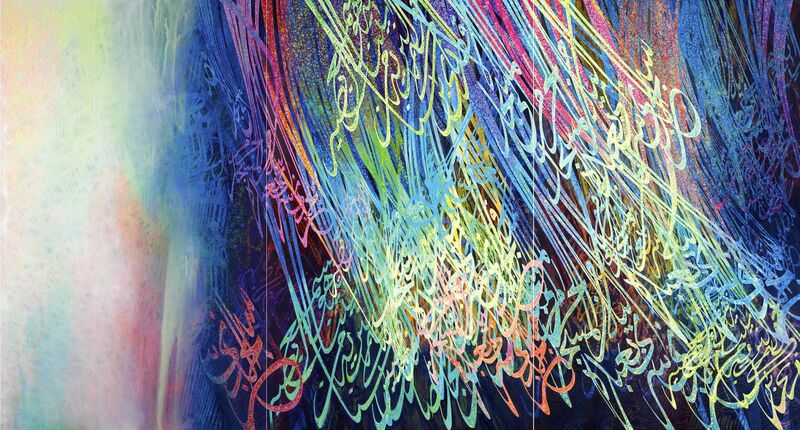 While much of his work is derived from sacred Qur'anic texts and is the embodiment of his own deep Islamic faith, the startling visual impact of his scriptorial palettes, which go far beyond decorative inscriptions, makes them immediately accessible as numinous images, irrespective of whether the texts can be read or not. On seeing this art for the first time, many people who cannot read Arabic, and who know little or nothing about Islam or Islamic art, are immediately touched by it on some level. The significance of the pen – and its ability to provide all of humanity with a glimpse of the Divine – stems from the essence of Islam as a continuous, eternal religion: the very first Qur’anic instruction to the Prophet Muhammad was: "Recite in the name of thy Lord ... Who has taught by the pen..." (Surah 96, al-A'laq, 1-4). 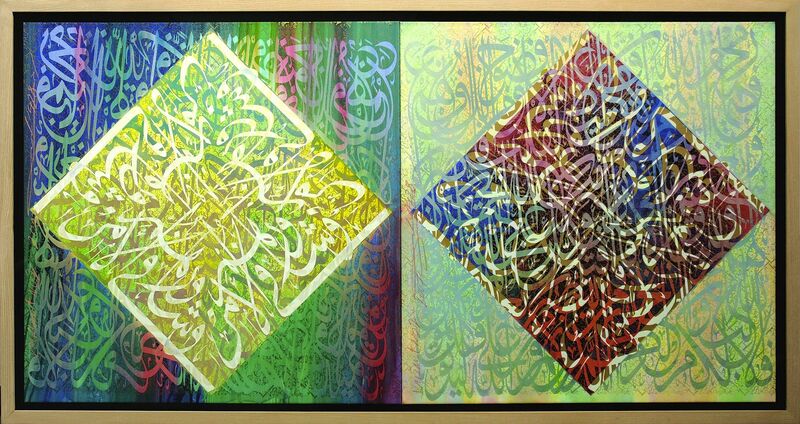 Calligraphy and Arabic script were developed as a great art upon firm principles and through his works Ahmed Moustafa has demonstrated that he is an exemplar of certain characteristics that encompass perception and belief and harmonise philosophy and eternal truths. His life-long pursuit of the Divine Perfection is reflected in his wonderful understanding of shapes, numbers and geometry in the cosmos: in his explanation of a single character, which is the fundamental element in calligraphic writing or painting, there is always a head, body and tail. The characters of calligraphic script also are interrelated with relationships of position, direction and interval. With its power to preserve knowledge and extend thought over time and space, the ink of the artist can be compared to the water of life that gives immortality, while the human being is like the pen. In his own words, "Western art deals with the casual, rather than what I call the immutable essence. As Michelangelo said, ‘Good painting is nothing but a copy of the Perfection of God’."